Premium deli meats and cheeses from local and reputable suppliers fill our cases. Made-to-order sandwiches, growler fills, cider, local craft beers and wines are available for purchase. Take-home or dine-in. Long's 'back room' behind the deli is a great place to sit down and share your bite n' beverage. And for sharing with friends grab a bottle of wine, some cheese and crackers for a special treat. Our wine selection continues to grow. 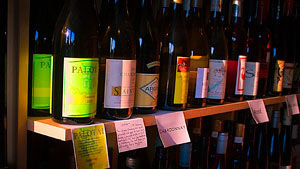 We carry the best from the Willamette Valley as well as imported and domestic wines from around the world. We are foodies ourselves so be sure to ask the team for recommendations to go with your purchases. Throughout the year we make pairing suggestions, and many people find this particularly helpful during the busy holiday season. add to our inventory of craft beers, growler and cider offerings. Come by for a taste and fill. When it comes to cheese, the selection at Long’s is impressive. 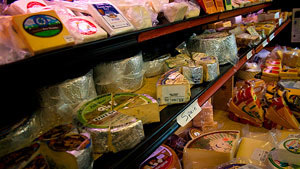 From award winning Rogue River blues to imported and specialty cheeses, we have the options and variety to match your tastes and preferences. Our deli meats and charcuterie products range from pate’s, to European style headcheese, proscuitto, salami’s, smoked and cured meats. Our suppliers, Boar’s Head and Saag are part of the Long’s tradition. We also have our own roast beef, corned beef, specialty hams and tasty salads.